NBC News has officially named Hoda Kotb coanchor of “Today,” replacing the ousted Matt Lauer, and officially added her name to the show’s open. With the move, coanchor Savannah Guthrie gets her name promoted to first billing with Kotb’s name immediately following. The show open’s look and voiceover artist have remained the same, with the only change being adding Kotb’s name. Kotb has been filling in at the “Today” anchor desk for most days since late November when NBC announced Lauer’s firing on the show, which is also the day the show temporarily stopped including anchor names in the open. 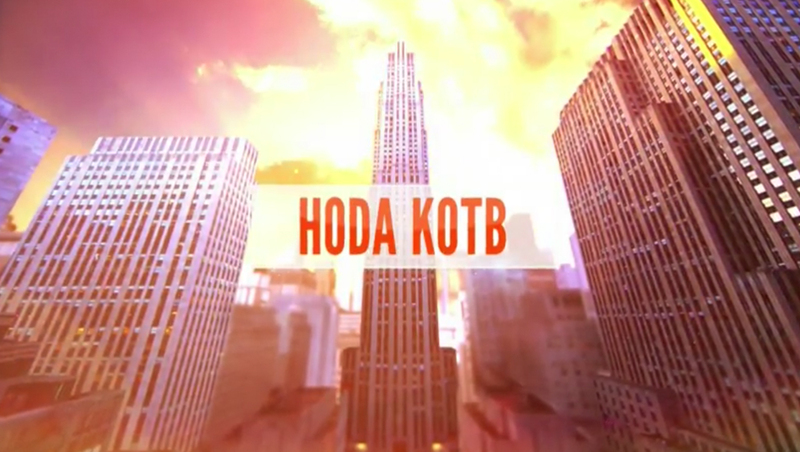 After Guthrie introduced Kotb’s promotion as what has to be “the most popular decision NBC News has ever made, came the “Today” tradition of replaying a clip of the new anchor’s name in the show’s announcer voiceover. After a slightly awkward playback of the clip, the Guthrie asked for it to be played two more times. “Pronounced right and everything!” exclaimed Kotb.